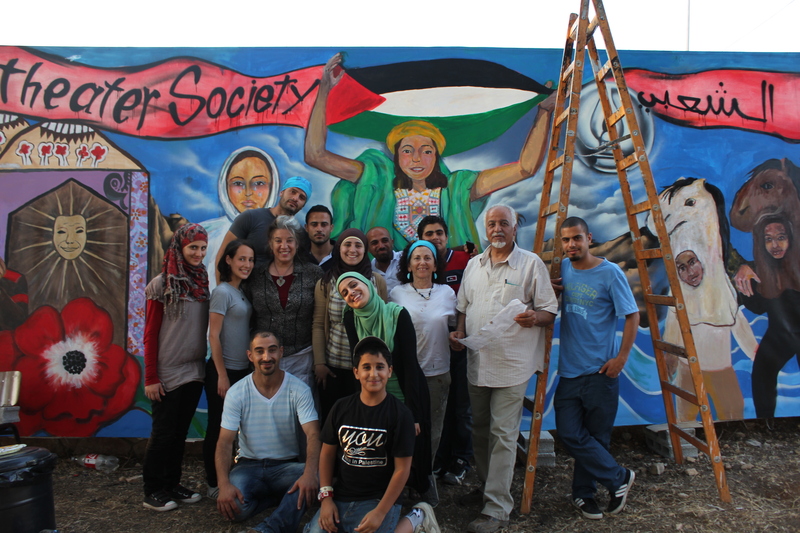 "Maia Mural Brigade" is a multi-media public-art project with artists, activists and youth from Palestine and around the world in Gaza, occupied Palestine. 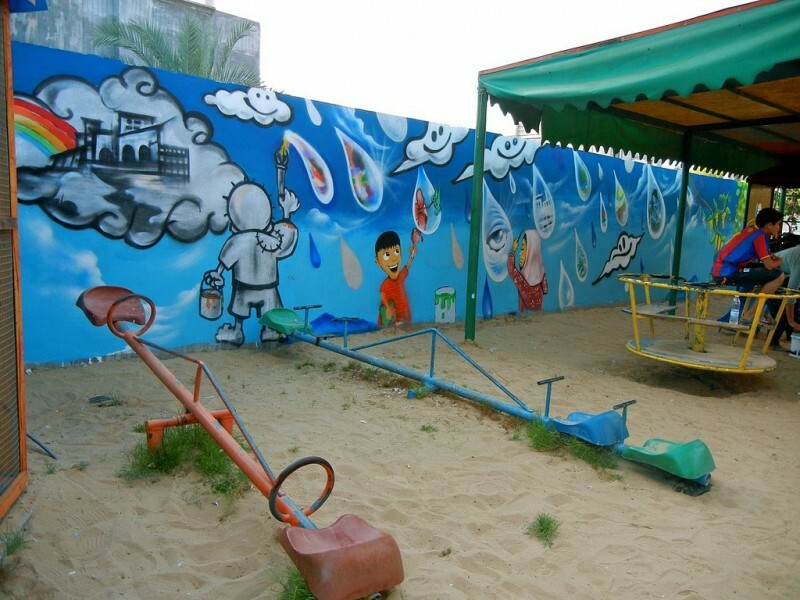 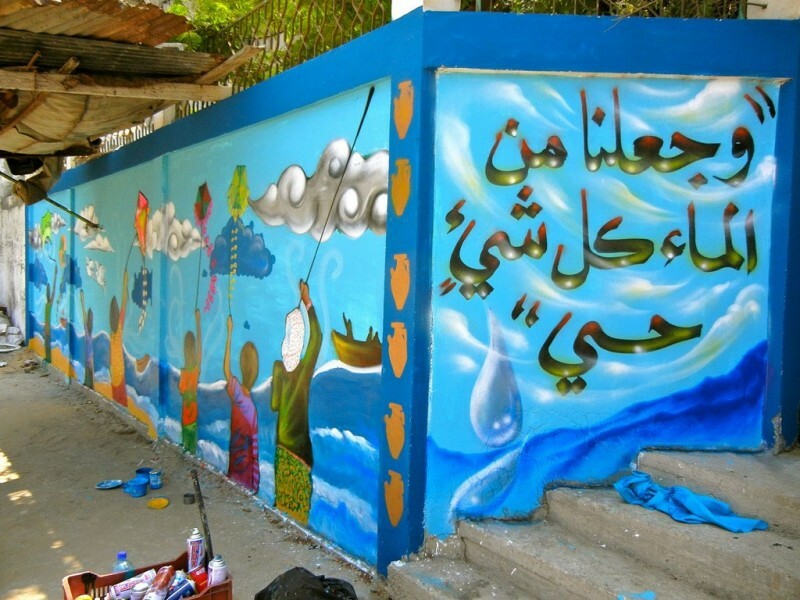 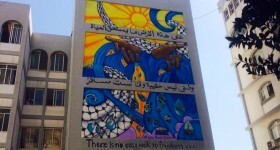 By partnering with on-the-ground activist organizations in Gaza including the Middle East Children's Alliance (MECA), MAIA Mural Brigade uses art to ignite concrete action for environmental justice. 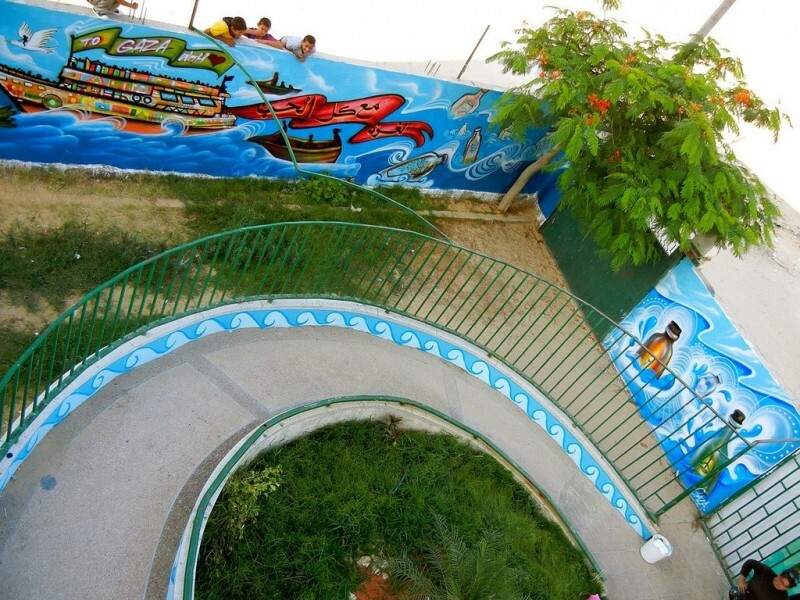 In 2011, the MAIA Mural Brigade collaborated with Estria Foundation’s #WaterWrites project and MECA. 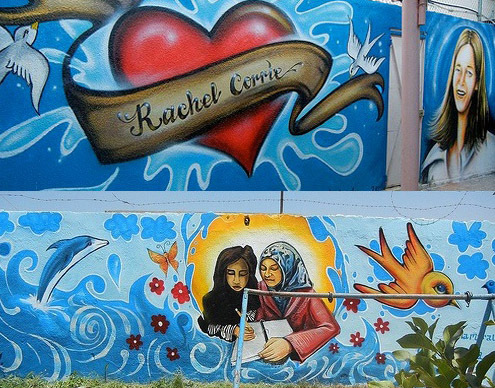 To date, 9 murals have been painted across Gaza. 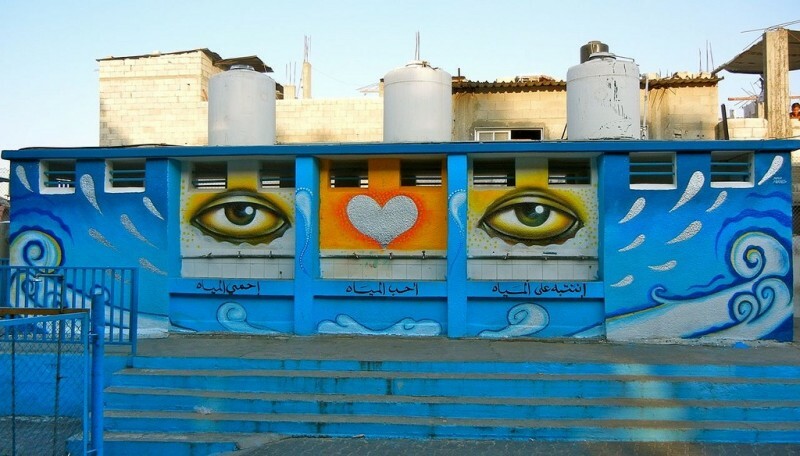 All but one are located at the sites of water purification and desalination systems being installed by the Middle East Children’s Alliance, providing clean water to more then 50,000 children.